In the bank all the activities are being done manually .As the bank widens its services & it finds difficult to manage its operations manually and hence this leads to the automation of some of its operations. Banking Information system is a windows based applications. This project mainly deals with managing there types of account such as Saving Account, Current Account and Recurring Deposits . In this project bank is seeking to manage these account through computer based system. Tasks involved in this project are opening the user accounts , recording the account holders transactions , modify, the user records and generating the reports . APCOB, which was started as a co-opreative bank with just two branches has grown into a large organization with 25 branches in short span. The rapid growth of the bank has strained the manual accounting processes making it difficult to manage and transfer data. The management has decided to automate the banking activity in a phased manner . One part is to automate the activity with respect to savings bank. Current account and recurring deposit. 1. account type MUST be accepted from the user . 2. Account No. should be generated automatically. Validation:No two accounts should have the same account no. 3. account holder’s name must be accepted (novalidation). 4.account holder’s address should be accepted (no validation). 5.phone number should be accepted (no validation). 6.occupation should be accepted(no validation ). 7.opening date should not be accepted. 8.cheque facility should be accepted. Validation: Cheque facility is valid for account type ‘s’, or ‘c’. 9. current balance should be accepted. Validation: it should be accepted provided the account type is ‘s’,’c’.if account type is ‘R’ then it should not be entered but updated once the user enters value for the field AMOUNT DEPOSITED. 10. Account number, number of months rate of interest, amount of deposited. Maturity date and maturity amount should be entered only if the account type is ‘R’. a. Account number should be displayed from the previous block. b. Number of months should be accepted. Validation: should be only 12, 24 or 36.
c. Rate of interest should be accepted. (No validation). d. Amount of deposited should be accepted (no validation). e. Maturity date should be displayed only. (Sysdate + no .of months). f. Maturity amount should be displayed only. validation: the account no. should be present in the database. 3.modification of rate of interest, no. of months , maturity date, maturity amount , maturity deposit are not allowed. validation :the account number should be present in the data base . 2. before actually closing the account his /her dues have to be settled. 3. if the reccurring deposit account is closed before the maturity date then the interest is calculated till that date . 4. before deleting the account display the matured amount first and ask for confirmation to delete. 1. Transaction date should be system date and it should only be displayed. 2. Transaction type should be entered. Validation: It should be D / W / I. 3. Depending on the Trans type the trans remark is displayed. 4. Transaction type D/W is allowed only for Account type Saving’s or Current. 5. Transaction type ‘I’ is allowed only for Account type Saving’s. 6. Interest will be eredited only in June and December for Saving account. The interest rate is 5.5 % p.a. 7. for the account type Reccurring deposit , the penal interest is calculated. The Reccurring Deposit holder can pay the amount without interest. If he pays before 10th of every calendar month. Failing to pay before 10th he will be charged a penal Interest of 10% of his initial deposit calculated as per day. 8. For persons who have cheque (Y), a minimum amount of Rs. 1000/- should be maintained in his/her account for current account and Rs. 500/- for saving’s account. 9. at any point of time his/her balance amount should be a minimum of Rs.250/- for saving’s account and the minimum of Rs.500/- for current. Opening Account , storing Account holder Details , Transaction Details, Reports Generation. The manual system is taken more time and the services to the Customer are slow and not accurate . The client is focus problem with the existing system with respective two values , such as time value and cost value. In proposed system we are concentrating the problems what ever a client faced with existing manual system. 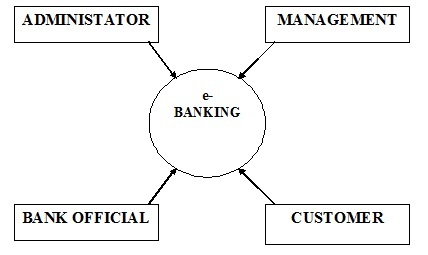 By introducing Automation system for Banking Information system. The client is provides fast services to the customer. The transaction service, report generation service and every service is available at no delay. This module mainly deals with creation of new Account i.e. Adding new Account Holders. Other activities such as viewing, Modifying , Deleting Account holder Details. This module deals with different types of transactions such as Deposit, Withdraw and Interest calculation related to customer as well as Bank. This module deals with generation of reports for customer and Bank such as Daily reports, Weakly reports and report for a particular period of time. 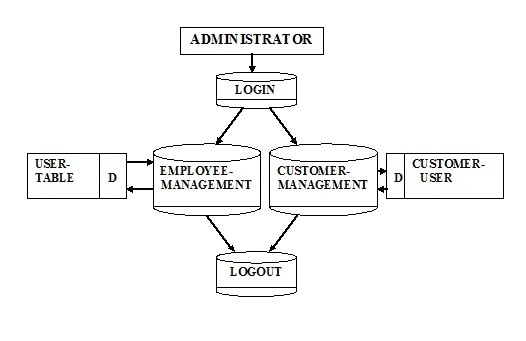 The logical characteristics of current systems data stores, including name, description, aliases, contents, and organization, identifies processes where the data are used and where immediate access to information required, Serves as the basis for identifying database requirements during system design. 1. To manage the details in large systems. 2. To communicate a common meaning for all system elements. 3. To Document the features of the system. 4. To facilitate analysis of the details in order to evaluate characteristics and determine where system changes should be made. 5. To locate errors and omissions in the system. E-care consists of various tables like super login, eloign, registration, hdlevels, categories, modules, supportteam, hdemp, schedules, hdproblemrequest, superuserprofile, forward, problemhistory, messages etc. This post most impress me because your writing skills are awesome....easily understanding and super navigation in this blog Banking.